Today is my stop on the Fabulously Fast Quilts and Quilting Tips Blog Tour! Fabulously Fast Quilts is a new book written by talented quilt designer and super nice person(!) Amy Smart. You probably know her from her blog Diary of a Quilter. I was thrilled to get a look at Amy's book and participate in her blog hop. 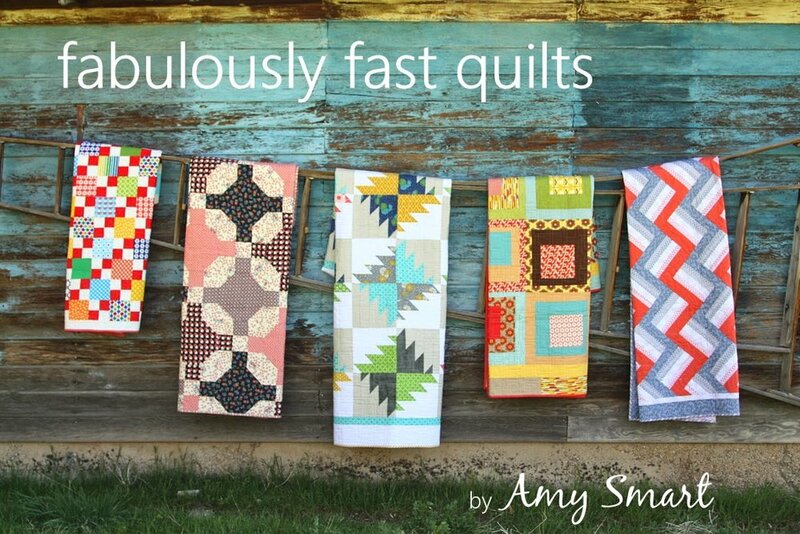 Fabulously Fast Quilts is a great book for beginners on up. Amy starts off with few pages on basic quilting techniques and then jumps right into 12 clever patterns. The patterns are separated into four technique categories. I just love the punches of solid red on her Fast Four Patch quilt. And speaking of solids, check out this show stopper. This is Amy's Crossing Guard quilt and I am in love! In celebration of Fabulously Fast Quilts, Amy has asked each of us on the tour to share a quilting tip. I decided to share more of a design tip, because design is the first step in making a quilt, right? 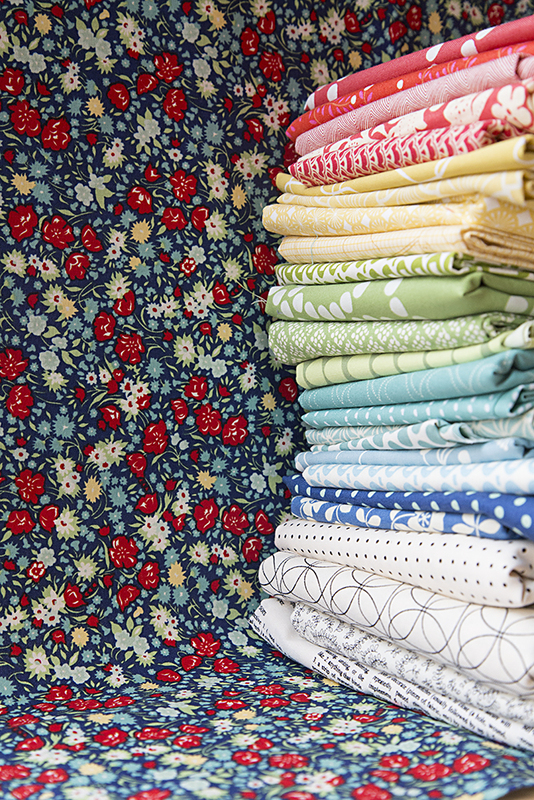 My tip revolves around pulling a perfect bundle of fabrics for your quilt. Often putting together fabrics for a quilt is the hardest part. If you are stuck, one trick is to base your bundle on a favorite print. This can be a piece of fabric or even a photo or painting. This is a print I absolutely adore from Bonnie & Camille's April Showers line. I pulled fabrics from my stash that corresponded to all the colors in this particular piece of fabric. This works just as well in a fabric shop. Make your pile of bolts and create your own custom fat quarter set. Fabric designers just know what looks good together, right? And even if you don't include the original inspiration fabric on the quilt top, it would make a perfect quilt backing! You can read more tips from other quilt bloggers all week long!